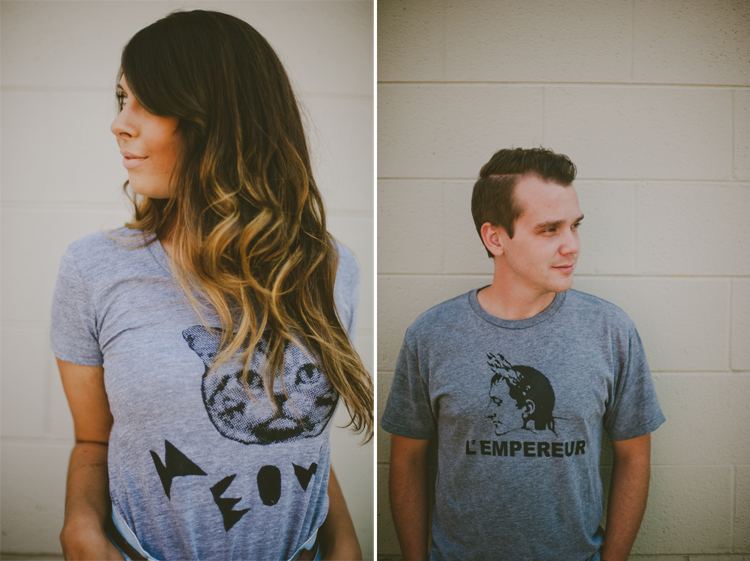 robbie & i recently found out about skip n' whistle, a tee-shirt company based in new orleans. and we are seriously in love. fun, whimsical designs? check. printed on super-soft american apparel tees? check. and we all know nothin' beats out an american apparel tee. 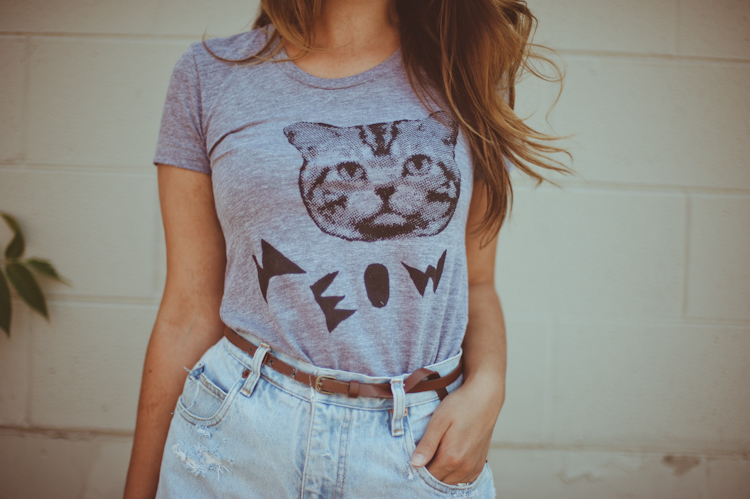 except for an american apparel tee with a giant cat face across it. robbie's napoleon shirt is pretty great too…so methinks i'll be borrowing that on the regular. and let me just say the day we took these snaps it was H-O-T in denver. i don't think i've ever been happier to slip my arms through a tee & my legs into cutoffs. which isn't something i normally do. but i think my fantastic meow-emblazoned top is making me a believer in the omnipotent, all-american tee-shrit. oh, i need that cat shirt! love, love! That cat shirt is AWESOME. I love the cat shirt! 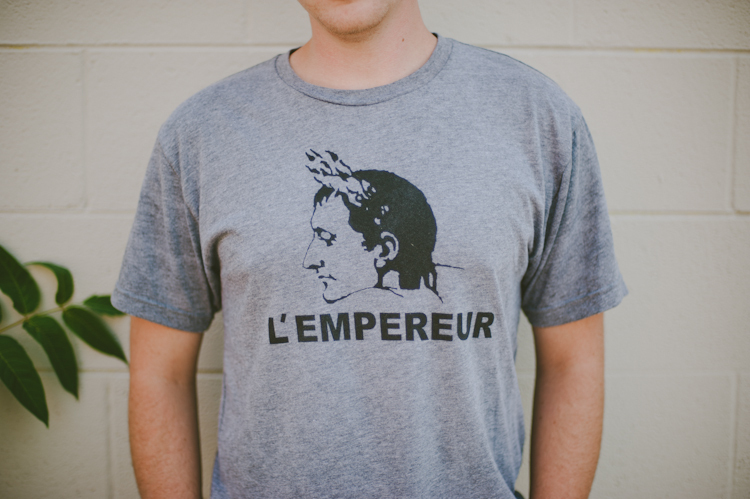 i love the napoleon tee! and your hair looks lovely! sounds like an absolutely brilliant company! a gem! These shirts are SO cute and look super soft. Adorable post!